It’s with great pleasure and excitement that I can announce I’ve received an offer to publish The Impact Series, in its entirety, from Jd Michaels, the Executive Vice President for Diversity and creativity at BBDO Worldwide. BBDO is an international advertising firm with over 100 offices around the world. They have been linked to us by Alec Frazier, Director of Autistic Reality and our story will be part of the Stories about Us initiative curated by Tari Hartman Squire of EIN SOF Communications. Stories about Us seeks to connect creative writers from the Disability Population with the entertainment industry. Alec has been a lifelong advocate for People with Disabilities. As mentioned, he runs his own disability advocacy firm, Autistic Reality, which does lobbying, peer advocacy, public speaking, and enhances the representation of the disability community. He is also a published author (two times over), in his own right. I’m excited to be working with Alec and his colleagues—as they share the same beliefs I hold in regard to inclusion, accessibility and disability issues. I know “Impact” will be treated with love. I’ve continued to peck away at this epic saga (lol) through multiple career changes and several life-changing events, including my husband’s heart attack and triple bypass surgery last fall and it’s with great pride that I can, finally, announce that “Shattered”—book one of the series—is completed & is in the hands of my pre-read team. Shattered is not the story you remember, because we haven’t gotten there yet. It’s nearly all new material, but I didn’t think you’d mind getting to know Steven Chandler a little better. Shattered ends where the Impact you love began, and volume two, “Impact” will pick up there and continue. I anticipate four books in the series, but I have the support behind me to publish the series in the way I envision it. I’m utterly delighted that this labor of love has finally come to fruition and I will finally be able to put it in your hands. Thank you for your undying love and support; your words of encouragement when I was discouraged that this was a monumental task. And thank you from the bottom of my heart, to Alec Frazier, Jd Michaels and Tari Hartman Squire for believing in me and taking this leap of faith which will allow my readers to have this story back in their hands, and on their bookshelves, too! On July 26, 1990, President George H. W. Bush signed the Americans with Disabilities Act into law, making it the most comprehensive piece of legislation written to protect the rights of individuals who have disabilities. Sadly, twenty-five years later, there are still many Americans who have no idea what the law is, or why it’s significant. I suppose I’m passionate about the ADA because it’s affected the lives of so many people I hold dear, but I’d like to think that it would hold significance for me even if it weren’t so important to the ones I love. My mother was born in 1936 and at seventeen years of age she had her first clinically identifying episode with what would later be diagnosed as Multiple Sclerosis, a debilitating disease of the central nervous system. Despite the fact that she was very self-conscious of her mobility issues, Mom lived her entire adult life gracefully and with dignity, as a person with a disability. When Mom became disabled, there were no laws to protect her civil rights. After a lengthy absence her freshman year of college, mom went on to graduate with her class and secured a job as an elementary educator. She taught at a school that incorporated ungraded classrooms as part of their educational program–an atmosphere where students were grouped, based on their ability and level of work, rather than chronological age. Mom left her teaching job when she was expecting me, and wasn’t ready to return until five years later–after my sister’s birth. The exascerbations and remissions of the MS ebbed and flowed, but sadly, when Mom was ready to return to her teaching job, she could no longer legibly write or sign her name and she was turned away because of her physical limitations. One of Mom’s greatest disappointments in life was that she was never able to return to the job she loved. Today, the Americans with Disabilities Act protects workers with disabilities and ensures that they are provided with reasonable accommodations so they can continue working. Had the ADA been signed into law twenty years sooner, Mom’s life might have been very different. I’ll never forget my first act of grass roots advocacy. The ADA hadn’t yet been drafted, and polite letters failed to “encourage” our local library to install a lift to provide access to our century-old library. I had no clue, at the time how empowering advocacy could be. When writing letters to the library fell on intentionally deaf ears, we called up our state representative and the local media, inviting them to our “assembly”. I helped my friend dress up in her Sunday best, escorted her on foot as she drove her Amigo buggy across town and we stood outside the library, explaining to the local newspaper and television station that, while it was wonderful the library offered a free service to deliver books to library patrons with disabilities, it was impossible to know what was even available at the library without first being able to get inside. Within weeks, a letter from our thoroughly chastised library came to my friend’s home, inviting her to discuss her ideas so that the library could better meet the needs of everyone in the community. I remember once thinking that the ADA was like a magic key that could open the doors to the kingdom. I grew up in a small, rural community where not one business entity was accessible. The old idiom “being on the outside looking in” could have been written expressly for individuals with disabilities, because before the ADA, that’s largely how life was, how it is still, in some parts of our country, but because of the ADA, those people on the outside looking in have the tools to bring about change in their communities. The ADA accessibility guidelines ensure that individuals with disabilities have equal access and if they don’t, the ADA makes it possible for an individual with a disability to file a discrimination suit against non-compliant businesses, and often a positive outcome occurs. In 1985, my son was born with a developmental disability. Thanks to safeguards put into place by the ADA when he was just five years old, he is gainfully employed by an employer who has made accommodations for his specific needs. Because of the ADA my son is able to be a self supporting contributor to our community. I understand that the ADA doesn’t have the same impact on individuals who aren’t personally affected by disability, but it’s a law that benefits us all. I can remember a day when many places of business had steps, when doorways to public restrooms were so narrow one could barely walk through, when public transportation wasn’t available to everyone. Equal access ensures that every person can enter an establishment and fully participate; not just the guy who pushes a wheelchair, but the mother pushing a stroller or a courier pushing a hand truck, as well. While I can remember a life before the ADA was in place, I can’t imagine life without it for the people I care about. I am grateful to every individual involved in drafting and enacting this life-changing piece of legislation, and had the express pleasure of once spending a day with someone who was instrumental in its birth. Our nation might be celebrating the silver anniversary of the ADA today, but those with disabilities celebrate the ADA every, single day. To learn more about the history of the ADA, check out the Disability Rights Education and Defense Fund’s historical summary of the birth of the ADA, years before its 1990 consummation-The History of the ADA, A Movement Perspective by Arlene Mayerson. Arlene’s detailed, behind-the-scenes account of the steps that led to the legislation we now know as the Americans with Disabilities Act is intriguing and eye-opening. As a society, we take so many things for granted and I don’t think many of us consider the exhaustive steps that are sometimes necessary to bring about change. Have you signed the Airline Accessibility Petition? I’ve been following the petition to modify the Air Carrier Access Act; a campaign which would provide air carrier access to all individuals who use wheelchairs while allowing those individuals to remain in their own, customized wheelchairs during flight rather than being forced to transfer into a passenger seat in the plane. I’d like to ask you, my readers, to please share and disseminate the following press release to your local media, sign the petition and write a letter to your local legislator. Work of mouth is one of the most effective forms of grass roots advocacy. If we all speak up, our voices will be heard. Vicki Jurney-Taylor who started the petition has donw a spectacular job of explaining the focus of the document, so rather than be redundant, I’ll let her take it away. Thank you, in advance for your support of this very important issue. San Antonio, TEXAS—Two Texas women have started a petition requesting that people with severe disabilities be allowed to remain seated in their customized wheelchairs, during air travel, for health and safety reasons. The petition, which has garnered over 21,500 signatures in two months, will be delivered to President Obama, Congress, the major airlines, aircraft manufacturers, and disability rights organizations. Presently, 1.6 million people use wheelchairs in the United States . Of these, over 200,000 use power chairs. The population using wheelchairs is just increasing due to the fact that people with disabilities are living longer. Unfortunately, most wheelchair users presently are forced to travel by motor vehicle due to airplane inaccessibility. In addition, in 2008, one particular airline spent over $1 Million in wheelchair repairs. This can be avoided by not having bag handlers mishandle expensive power chairs that cost between $20,000- $60,000. Also, this figure excludes the expenses that airlines outlay every year to disabled travelers in lawsuits, free tickets, and additional items to prevent lawsuits. Again, without your help, none of this can succeed. 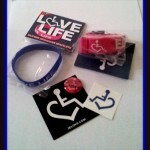 September is Awareness month for a number of issues and I’ve added some timely posts to my disability resource blogger. On September 3, my sweet friend, Marmy, shared a guest post with us about her personal experience with Thyroid cancer. September is also Blood Cancer Awareness month and my friend Born has shared a her family’s experience with a leukemia diagnosis in a collaborative piece she wrote with her son. It posted on September 12. Spinal Cord Injury Awareness month is September and while I’d be remiss not to mention it, I’ve not added anything about SCI awareness to the blog. I have been sharing a ton of great information on my Facebook Community and author pages for those who are interested. And last but certainly not least, I posted a call for questions on autism from readers in August. On September 10, I posted a guest interview with my friend, Alec Frazier who is autistic. An introduction to Alec, his answers on autism and a number of other diagnoses and accomplishments have posted in part one of our interview. We had such an awesome reader response that the interview will be split into three weekly installments. Part two will post on September 17 and the final installment will post on September 24. A reminder, the blogger is filled with information on Assistive Technology, travel, housing, advocacy… there is something for everything and while I’ve tried to include the things most commonly found on disability resource websites, we’ve also included things that many sites don’t offer… a one stop shop for individuals with disabilities, if you will. So, stop by the blogger to explore our guest posts, check out the resources if you have a need and please leave a comment if you have anything to add. We look forward to having you. Today, July 26, 2014, marks the twenty fourth anniversary of the signing of the Americans with Disabilities Act, in my opinion, the single most important piece of legislation in American disability history. In the days since its invocation, the ADA has paved the way for Americans with Disabilities to live in a world that is less restricted by both physical and attitudinal barriers. I don’t think any piece of legislation will ever completely “fix” the way society views individuals with disabilities, nor will it cause every public entity to become compliant, but I remember a day before the ADA, with friends and family members who had disabilities, and our world, today, is a different place. I remember a day when we struggled as a family unit to get my mom onto the toilet in a public restroom, when most businesses had steps, not ramps, and when many families shuttled their “special” kids off to an institution (they called them special “schools”) to be raised and educated by strangers. I guess they were embarrassed. I could never understand why. I was raised in a family where you took care of your own and you didn’t hide them. I grew up in a time when expectations of those with disabilities were low–a mindset that perpetuated individual goals which were even lower. And I’ve seen what sort of power there is in independence, and freedom and personal choice. The ADA has opened so many doors for people with disabilities, both literally and figuratively. One of the greatest things I’ve seen with the ADA is the way it’s grown and evolved to meet the needs of a changing world, and I hope that continues to happen as we move further into the twenty-first century. Some exciting things have happened this week to commemorate the anniversary, things that are being kicked off now in anticipation of an even more exciting anniversary—the Silver Anniversary of the American’s Disabilities Act on July, 26, 2015. In honor of the ADA anniversary, The Southeast ADA Center, a member of the ADA National Network has put together the ADA Anniversary Tool Kit; a project that highlights awareness through the dissemination of background and history of the act, information on the Supreme Court decision on Olmstead, which prohibits the unnecessary institutionalization persons with disabilities, disability statistics, and other ADA resources. Download your Tool Kit now at www.adaanniversary.org and join the movement to help America recommit to the ADA by signing a pledge of your own. 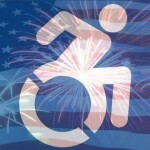 You can help celebrate the ADA’s silver anniversary in one year, by being a part in the nationwide goal of 25,000 signatures. The ADA Legacy Tour kicked off in Houston at the Abilities Expo, on July 25, 2014, a rolling exhibit that will travel the US to raise awareness and to help get the nation geared up to celebrate this memorable event, the Legacy Tour will wrap up in Washington DC on July 26, 2015 to celebrate the anniversary. I look forward to attending some of the celebrations in the upcoming year to commemorate this important date to people with disabilities. I hope to see you there! Laura E! You are our rafflecopter winner! Please watch your email for details on how to claim your prize!! Thanks to everyone who entered. Stop back soon for more chances to win! As promised the release of Chapter One of Impact! The shrill ringing of the phone interrupted Logan and Sophie Chandler as they stumbled through the front door, laughing and kissing like newlyweds. Both busy professionals, they didn’t often get moments to simply enjoy one another’s company, but for a change they’d enjoyed a wealth of time with one another. First, in the company of family and friends to commemorate their nephew’s eighteenth birthday and later, in quiet conversation during the long ride home from the city. Sophie slipped her hand out of Logan’s as she rushed to grab the phone and he watched in horror as the smile drained off her face, she cried out in agony and crumpled to the floor. He smiled tightly from behind the perfectly constructed facade he needed to sometimes slip into at work, an illusion that belied confidence in the face of heart wrenching situations; he’d never needed to pull courage from it more than he did at that moment. “We don’t know anything!” he replied firmly. Except that he did, and what he knew scared him to death. Sophie cast her eyes to her lap where her worried hands twisted the jacket she held in a death grip. Logan tried to prepare his mind for what they’d find when they arrived at the hospital. He had a white-knuckled grip on the wheel and his heart hammered in his chest; the adrenalin it pumped through his veins made him want to fly over the back roads at lightning speed. Common sense warned that he was transporting his most treasured possession, and no matter how quickly he drove, they’d be playing the waiting game once they arrived. Where they’d been carefree just moments before, Logan found himself wrestling with the prospect of having to make decisions that he’d never given consideration before. Sure, it was one thing to agree to be someone’s health care proxy, and the subject was one he broached almost daily at work, but in the moments after the call, he felt woefully prepared to be in a position where decisions he made could affect the lives of his loved ones. Bad things happened to other people’s families. Please let them be okay. “I’ll find you as soon as I know something,” he answered. He hadn’t wanted to leave her alone, but they’d parted ways at the waiting room, both knowing Logan could slip behind the scenes in the E.R. where Sophie could not. At least she wouldn’t be alone for long. The unit secretary discreetly confirmed that, based on gender and approximate age, the victims’ information matched those of Logan’s in-laws and their son. As Logan suspected, the emergency department was on standby, waiting for the victims to be extricated from the wreckage. It was the driver of the other vehicle, a logging truck overloaded with timber, or so he’d been told, who had already been pronounced dead at the scene and was en route to the hospital morgue. Given what Logan feared about his loved ones, he couldn’t find it in himself to care about the other driver. The minutes dragged on like hours as he paced, waiting for news. Normally calm under pressure, he struggled to process the anxious feelings that kept churning to the surface. On a regular work day, he could shut those emotions out, but with the lives of people he loved on the line, he found it impossible to make the distinction. Unable to take the waiting any longer, Logan walked over to the elevated countertop and laid his head on the cool Formica, finally allowing himself to break down. As he sobbed, someone stood beside him, rubbing his shoulders, uttering kind words and reassurances although he couldn’t decipher what they were…simply soft words, meant to be soothing, but failing miserably. After what seemed like forever, the sirens wailed in the distance. When he lifted his head, the nurse who had been trying to comfort him handed him a box of tissues. “They’re here, Logan,” she whispered. He wiped his face and the counter, in an attempt to act busy while his heart thundered in his chest. He understood the necessity of maintaining his composure, lest he be exiled to the waiting room to wait with his wife, unable to assist their family in their time of need. It took a moment to register that only one ambulance had come in. He listened to the rhythmic beeps as it backed into place and watched as a flurry of activity overtook the small emergency department. The other ambulance bays remained empty. Where were the other units? He watched as the doors were thrown open, the gurney lifted down to the pavement. He’d recognize those crazy blonde curls anywhere. Steven. Emergency personnel surrounded the gurney as the EMTs shouted out information. The boy was on a backboard, his neck in a brace; standard protocol for a motor vehicle accident victim. Portable medical equipment littered the stretcher. Logan followed the entourage into a cubicle that was reserved for the most severe trauma. They were bagging his nephew apparently a tube had been placed in his airway at the scene. His heart breaking, Logan watched in silence as they drew blood, took pictures with the portable X-ray machine, and inserted a catheter. His world spun off its axis when he saw the neurosurgery team enter the cubicle. No one had asked him to leave, but his presence was sketchy at best. He wasn’t on duty, and was personally involved with the patient. He could be forced to leave at any moment. Logan remained on the periphery, just close enough to see what was going on, but careful not to get under foot. His heart nearly stopped when he saw his supervisor, George Miller, walking towards him with purpose. Perhaps, he thought, he could find out where they had taken Grace and Oliver, apparently some other nearby hospital. Since he didn’t work there, he wouldn’t be able to slip into the inner sanctum of another facility un-noticed, but with his identification, perhaps the staff would be sympathetic towards a fellow medical professional. Logan stood tall and schooled his features into an expression exuding confidence, even though he felt anything but. With sweaty hands, he gripped the envelope containing the papers that legally granted him permission to review all the medical information for his family as it became available, and make medical decisions for them, if necessary. No one could deny him that. “Sure. Where would you like to go?” He fought to pull his eyes away from the action taking place in Steven’s cubicle. Why did they call a neurosurgeon in for a consult? The room spun and Logan’s chest felt like the wind had been knocked out of him. He fell to his knees, clutching his midsection, the word “no” repeatedly falling from his tongue like a litany as George droned on. Oh God no, not Sophie. George put a hand on Logan’s shoulder. “Take as long as you need. I’ll be right back.” Seeing his nephew so broken ripped Logan’s heart out. Contusions and lacerations covered the parts of his body that were exposed. Logan pulled the blankets back and gasped when he saw the boy’s chest, the evidence that he had been pinned beneath something blatantly obvious. Logan drew on his experience of spinal cord injuries, considering the possible outcomes. What quality of life would this boy, whom he loved so fiercly, ever have? He laid his head down on his nephew’s shoulder and sobbed like a baby. George re-entered the cubicle, both a neuro-surgeon and an orthopedic surgeon in tow. The specialists explained the young man’s status, whispering in hushed tones. Steven hadn’t yet regained consciousness and needed the vent to assist with his breathing. Six ribs were broken, his lungs bruised. He had suffered a spinal cord injury, the vertebrae at T-12 crushed; an accurate prognosis impossible until after the swelling subsided and surgery had been performed. Logan’s mind immediately went to his old med school roommate, Glenn Ecker, a surgeon who had become well renowned in the art of spinal surgery. It was necessary to reconstruct the vertebrae and Logan didn’t want anyone but his friend touching something as delicate as the boy’s spine. The time had come for Logan to identify his in-laws’ remains. The corridor leading to the morgue seemed to grow longer with each step. While he knew it must be done, it was all the shaken doctor could do to put one foot in front of the other. The corridor leading to the morgue seemed to grow longer with each step. As he shuffled through the catacombs of the hospital basement, he tried to prepare himself for what he knew would be the hardest thing he’d ever have to face. Ollie had been like a brother to Logan and while they didn’t always see eye to eye, he knew he’d never have a closer friend. And Grace…sweet little Grace, a near carbon copy of her older sister, had been but a tiny wisp of a girl when they’d met. Hell, he’d taught her to drive and walked her down the aisle into his best friend’s waiting arms on the day the two married. To see them laid out in the morgue, to know they were truly gone, that was something he couldn’t begin to comprehend. George stopped outside the viewing room and tapped on the window. The attendant pulled up the blind, giving them a clear view of the room. Logan took a deep breath and forced himself to look. When he saw the disfigured faces of his family members, his head began to pound and he fought to catch his breath. When he broke into a cold sweat and the room spun out of control, George grasped his shoulder in an attempt to steady him. Retching, Logan looked frantically for something, anything, to throw up in. A trash can appeared out of nowhere, and George rubbed his shoulders while he heaved. He guided Logan to a chair, pushing his head between his knees and encouraging him to take deep breaths. Logan sobbed with his fingers woven together behind his head. He didn’t know how to get through this. How could he tell what remained of his family? What would he say? No matter what it was, it would be his words that devastated them. How did he tell his wife that her only sibling was gone or his beloved nephew that his parents were never coming back? Despite sharing a healthy and happy marital relationship he and Sophie had been unsuccessful at creating a family of their own. For years they’d begged the Creator to give them a child, and for years, those prayers went unanswered. At the beginning of their marriage, Logan dreamt of the day when a doctor would hand him a child healthy, pink and swaddled in a blanket but he never imagined he would be lead to a broken and battered boy and have the mantle of fatherhood draped upon his shoulders. He and Sophie could never begin to fill the shoes of the departed. How would they ever be enough? Thank you for helping me reach 500 hits! 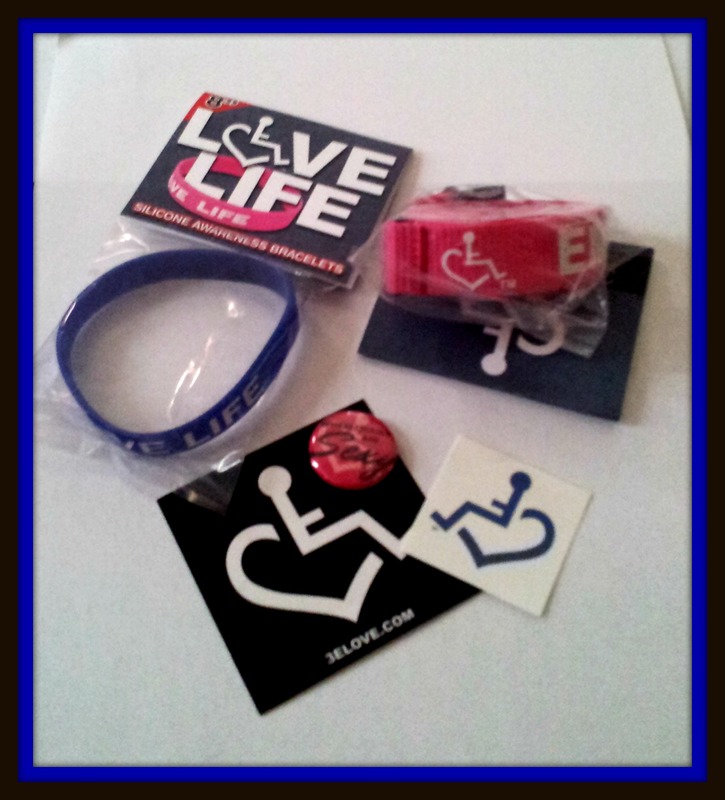 Please enter the rafflecopter for your chance to win a bunch of awesome swag purchased from 3ELove. When dacharles-author.com hits 500 visitors, details will be announced how one lucky reader can win an Impact themed prize pack! I’d like to take a moment to thank everyone who has read and supported Impact through the exciting journey that began nearly five years ago. You’ve been so much more than readers, and have become so much more than friends. The decision to remove Impact from the site where it’s been available since 2010 is a bittersweet one, but your words of encouragement have made me believe that Impact could be something more. In order to offer Impact to a more mainstream audience, and to make it accessible to everyone in the future, I’ll be taking the time to edit it and make appropriate changes so that I can offer it to my readers as a work of original fiction. I appreciate your understanding and your patience. Thank you for your comments, reviews and your words of support, but more importantly, I thank you for the precious investment of your time as you accompanied me on this journey. There aren’t enough words to express my gratitude.